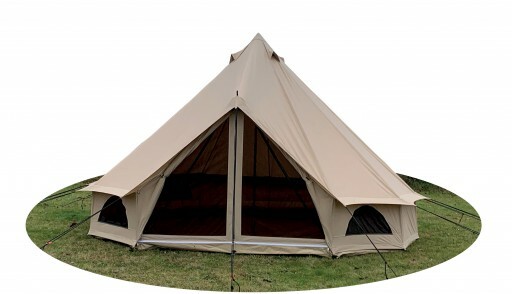 The Emperor Canvas Tent by Quest offers you a large enclosed canvas tent with the ability to sleep up to twelve people at once. 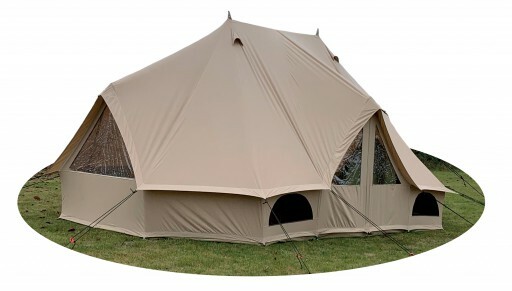 The Emperor Canvas Tent by Quest offers you a large enclosed canvas tent with the ability to sleep up to twelve people at once. 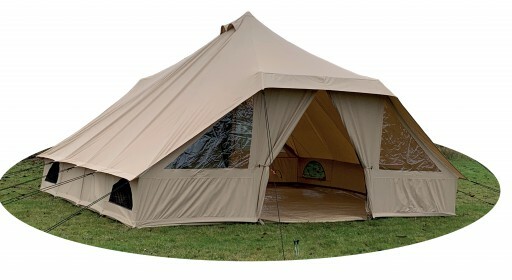 This tent is the essential product for those you want to go Glamping with this fully breathable cotton tent. You can configure the tent in anyway you want with the optional inner tents, making it perfect for any planned trips away. During the summer months, this tent helps keep everything cooler compared to your standard polyester tents. However during the cooler months, the insulating properties of the canvas will help you stay warm. Making this tent ideal for the majority season. It comes complete with everything you need to setup and the steel frame is strong and robust, giving you peace of mind for the years to come. 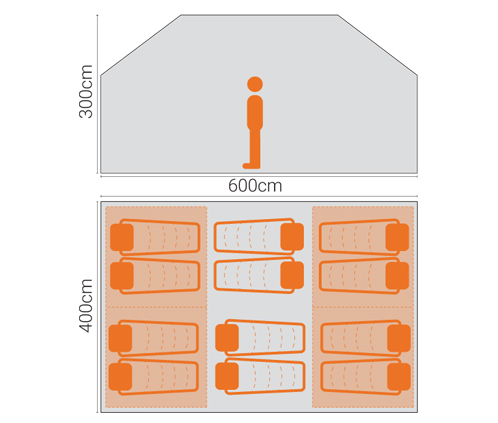 Berth : 1 – 12 : (1-4 out of inner tent, 1-8 inside inner tent). Tent (no zig) weight: 23 kg. Tent (with zig) weight: 37.5 kg. 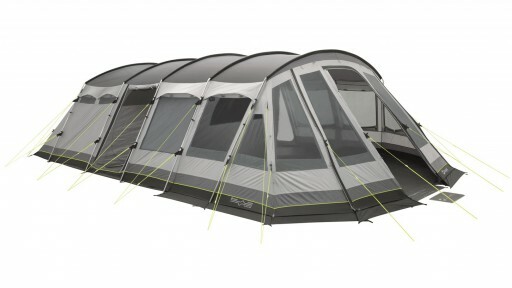 This is Kampa's flag ship model, The Studland 8 Air Pro offers supreme accommodation for up to 8 people. Despite its size, the Studland is as easy to set up. 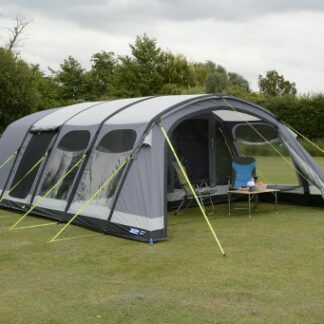 Ideal for large families, the Outwell Vermont XLP tent sleeps seven (2+3+2) in a tunnel design with pre-angled steel poles to maximise internal space.